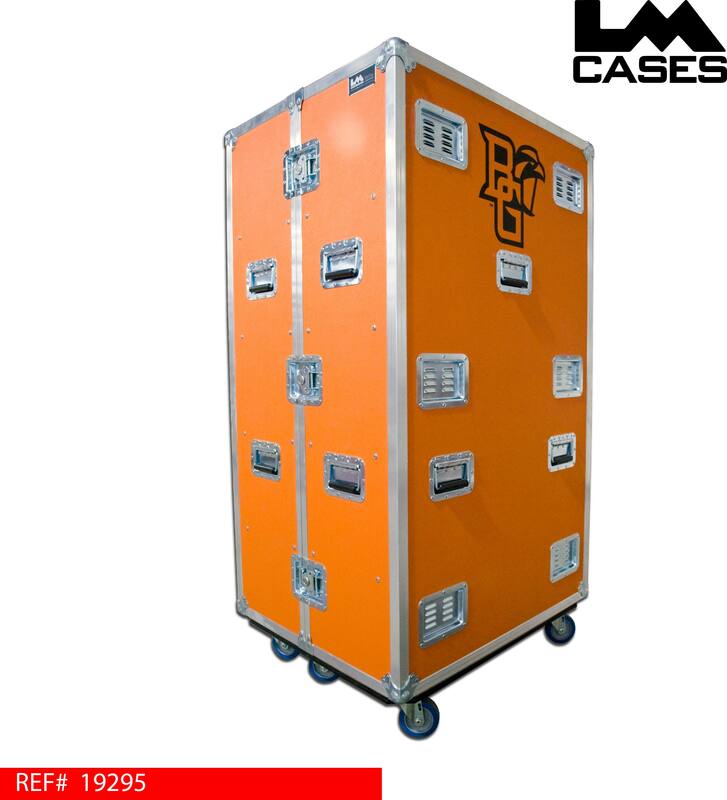 This case was designed for Bowling Green. The case is designed to be used as a general storage unit for players at away games. Each compartment is large enough to hold player shoes, jackets or any other misc items like cell phones or car keys. The case compartments are also generic enough that should the Bowling Green staff need the case for another application it can be integrated easily. 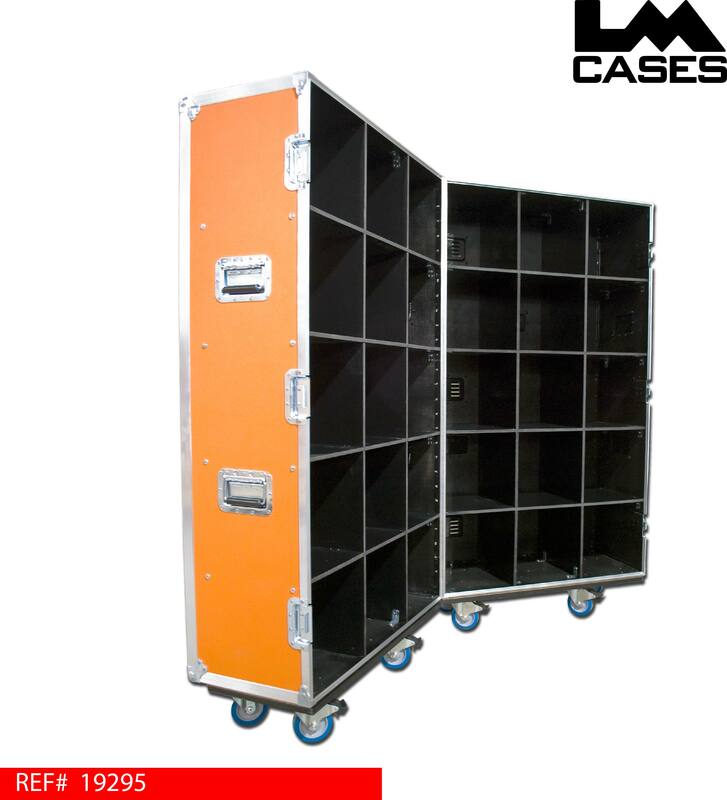 The exterior case is built out of 3/8" plywood laminated with orange ABS and features 4" casters as well as a custom silkscreen of the school's logo. Special thanks to Bowling Green!